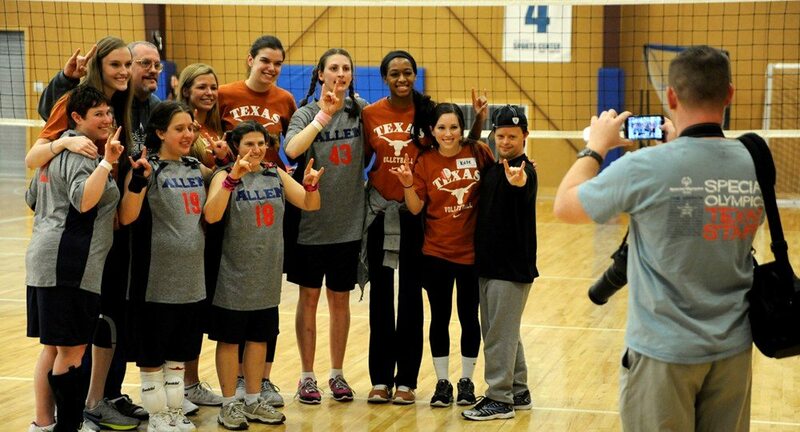 On Friday afternoon, members of the Texas Volleyball team took some time out to volunteer at the Special Olympics' Winter Games at Austin Sports Complex. The players interacted with the Olympians, helped referee the games and kept scores in the volleyball portion of the Games. "The game of volleyball has given me so much, so it's just fun to give back," freshman Kate Palladino said. "It's really great for us to interact with the athletes and help the staff."